A snap shop of one of our plant displays. We have teamed bright green dianellas in black glossy pots. 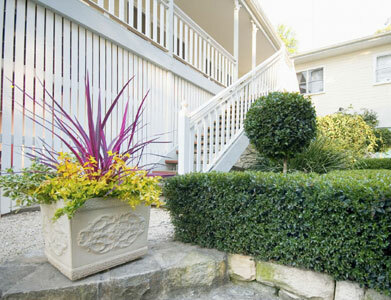 Black mondo grass surrounds the pots and a dwarf native Conostylis Candicans with it silver foliage and yellow flowers sits in front. Cordyline 'Sundance'. It's been a popular one for years and years now. 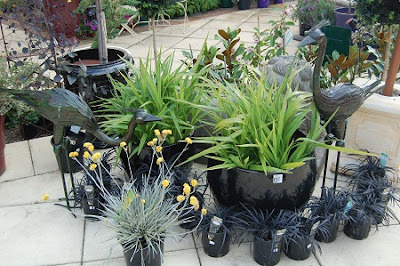 Excellent in pots and suitable for patios and verandas. 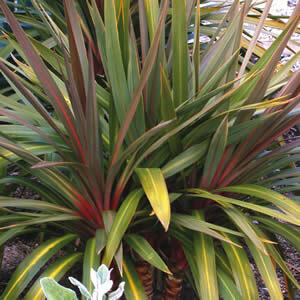 Featured in this pot is a Cordyine Electric Pink. 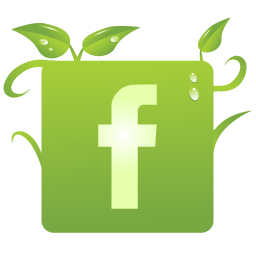 Come in and see all of our designer plants today.